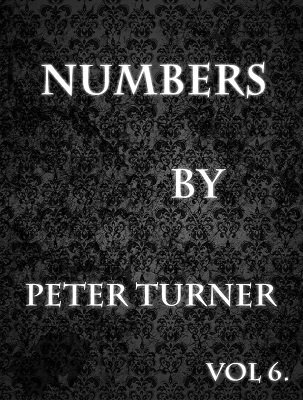 This is the 6th Volume of Peter Turner's Mentalism masterclass. This Volume is about numbers. This is the only volume where Peter talks about his feelings and thoughts during the creation procedure so you have a chance to step in Peter's everyday life for some moments. As always Peter's teaching is very enjoyable to read and very easy to understand. Serial Killer: This is a prediction effect with a very cool story around it. The spectators make all the choices they can change their mind as many times they wish. This effect is very clean it packs small and plays huge. Cypher: In this effect the performer asks one spectator to think of his pin-code and another spectator to think of a name. Both the pin code and the name is revealed in a unique way. Fate-Can: This effect is a completely clean hands off ACAAN with a kicker ending that is just genius. Data Spaced: In this volume one of the contributors is the one and only Paul Brook. Data Spaced is an unbelievable 3 phases mind reading routine with a personal touch that the participant never fogets. 1st edition 2016, 60 pages.